Malaysia has been stripped of the right to host the 2019 World Para Swimming Championships for threatening to refuse to allow Israeli athletes to take part, the International Paralympic Committee said on Sunday. The decision was taken after the Malaysian authorities “failed to provide the necessary guarantees that Israeli Para swimmers could participate, free from discrimination, and safely in the Championships,” the IPC said in a statement. IPC President Andrew Parsons said: “When a host country excludes athletes from a particular nation, for political reasons, then we have absolutely no alternative but to look for a new Championships host. Parsons said that in September 2017, the IPC received assurances that all eligible athletes and countries would be allowed to participate in the event with their safety assured. “Since then, there has been a change of political leadership and the new Malaysian government has different ideas… We are disappointed that Israeli athletes would not have been allowed to compete in Malaysia,” he said. Malaysia — a predominantly Muslim country — said earlier this month it would refuse to host events that have Israeli participation. Responding to Sunday’s decision, Malaysia’s Youth and Sports Minister Syed Saddiq Syed Abdul Rahman said: “If hosting an international sporting event is more important than standing up for our Palestinian brothers and sisters who get murdered, maimed and tortured by the Netanyahu regime, that means Malaysia has truly loss its moral compass. At least 245 Palestinians have been killed by Israeli fire since March, mostly during protests and border clashes but also by tank fire and air strikes. Two Israeli soldiers have also been killed. Israel and Prime Minister Benjamin Netanyahu accuse Hamas of orchestrating the protests and argue that Israel’s actions are aimed at defending the border. 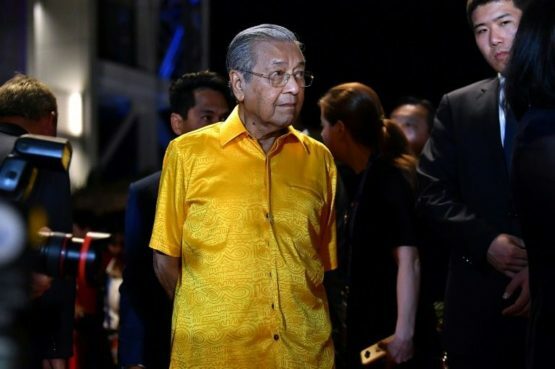 Prime Minister Mahathir Mohamad, now 93 and in his second stint as premier, has in the past attracted criticism for his verbal attacks on Jews, including calling them “hook-nosed”.